This was the first time that the GJM, spearheading an agitation for a separate Gorkhaland, expressed its willingness to hold talks with the state government along with the Centre. 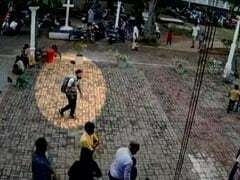 Bimal Gurung was booked under Unlawful Activities Prevention Act over blasts in Darjeeling on Saturday. Darjeeling: The Gorkha Janmukti Morcha or GJM today requested the Centre and the West Bengal government to initiate talks at the earliest to restore peace in Darjeeling where an indefinite strike has entered its 68th day. "The responsibility of ensuring peace in the Darjeeling hills, Terai and Dooars is not only that of the people who live here, but also that of the central government and the West Bengal government. We, therefore, request both the governments to initiate talks at the earliest so that peace and normalcy can be restored," GJM joint secretary Binay Tamang said. 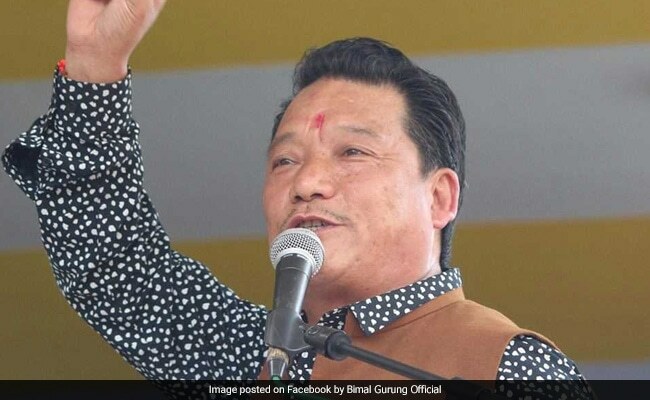 The complete change in the party's stand came in the wake of GJM chief Bimal Gurung being booked under the Unlawful Activities Prevention Act or UAPA in connection with twin blasts that rocked Darjeeling on Saturday. The GJM, during the two-month long agitation, has repeatedly declined to sit for talks with the state government and had accused it of letting loose a 'reign of terror' in the hills. Reacting to the GJM's appeal, Darjeeling District Magistrate Joyoshi Das Gupta asked the party to withdraw the shutdown first. "It is for them to restore normalcy as it was the GJM which has called the shutdown and has forcibly imposed it on the masses. Let them withdraw the bandh first," she said. Echoing Mr Das Gupta's view, senior TMC leader and minister Gautam Deb said, "We had earlier called an all-party meeting but GJM did not attend it." Mr Tamang reiterated that the GJM believed in democratic forms of protest and condemned the blasts in the hills. "We condemn the blasts which took place in Darjeeling town and Kalimpong and we have already demanded a probe by NIA into the blasts on Saturday last," Mr Tamang said. Mr Tamang refuted reports of the GJM having an understanding with the Maoists and the insurgent groups in the northeast. The GJM and other hill parties during the day organised rallies in various parts of the hills demanding a separate Gorkhaland state. They also demanded restoration of internet services, which have been cut off in the hills since June 18, besides immediate withdrawal of security forces.